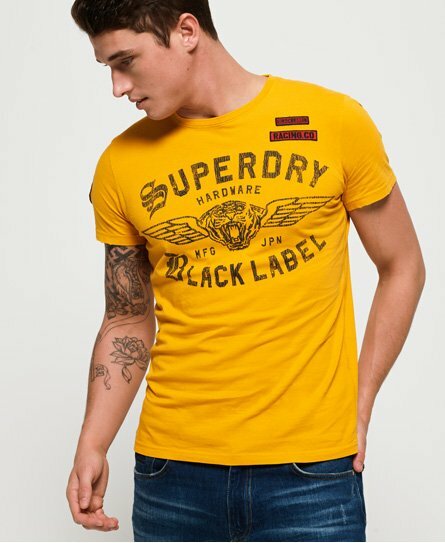 Superdry men's Tour mid weight t-shirt. This tour inspired cotton t-shirt features a crew neckline, a large Superdry graphic across the chest in a cracked finish and applique badges on the chest and sleeve. This t-shirt is completed with distressed detailing on the cuffs for a more vintage feel. Pair with skinny jeans for a laid-back look.